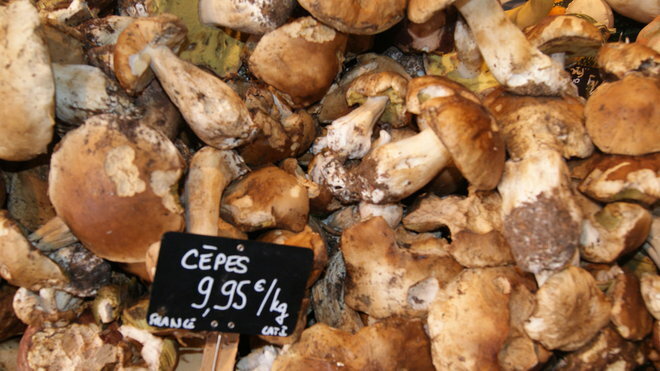 Cèpes mushrooms, also known as porcini, grow wild in France and Italy, In the autumn, these prized mushrooms are fresh and widely available in markets and restaurants. 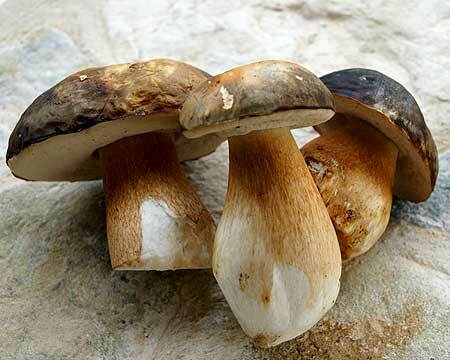 Cèpes are one of the tastiest wild mushrooms, and are popular on many menus in the fall season. Cèpes are low in fat and digestible carbohydrates and high in protein, vitamins, minerals and dietery fiber. Although they are sold commercially, cèpes are difficult to cultivate. However, they are found wild in autumn and are often dried, packaged and distributed worldwide. Fortunately, cèpes keep their flavor after drying, and are then reconstituted and used in many recipes. Serves 4 as a side dish. Excellent with roast chicken and potatoes. Clean and prepare the mushrooms (see below). Melt the butter in a large saucepan over medium high heat. Add the mushrooms in a single layer and sprinkle with salt. Don’t overcrowd the mushrooms, cook in batches, and don’t over salt the mushrooms (see tips below). Sauté the mushrooms until golden brown on one side. When the first side of the mushrooms are cooked, add the shallots, garlic, and sauté the mushrooms on the other side. Make sure the mushrooms are cooked through. Add 1 tablespoon of butter per batch. When all the mushrooms are cooked, deglaze the pan with white wine, then add the velouté and cream (see below). 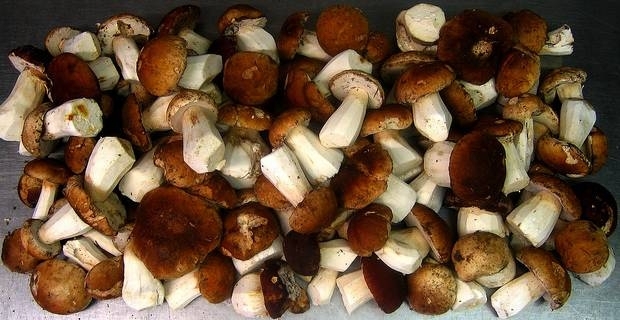 Cook mushrooms in a large pan in a single layer and in batches so that moisture will evaporate. Don’t disturb the mushrooms until they have stopped “singing” in the pan. Do not stir the mushrooms or swirl the pan until the mushrooms are golden brown on one side. Cook different types of mushrooms separately, as some will require more or less cooking than others. Season cèpes with salt as soon as you start to cook them, but don’t add too much salt when cooking because the mushrooms will shrink. More salt can be added later if required. If using dried herbs, add the herbs to the mushrooms with the garlic and shallots. Fresh herbs will lose their flavour when cooked, so should only be added at the last minute to preserve their flavour. Cleaning cèpes is simple: use a knife, a soft brush, a damp cloth or a potato peeler, but do not wash them in water, because they are like sponges. Cut off the tip of the mushroom’s stalk, scrape off as much earth as possible, peel a single layer of the stalk. You can wipe them with a damp cloth for a proper final cleaning. If you want to store cèpes, wrap them in a cloth and store in the refrigerator. Never put them in a plastic bag. In a separate saucepan, whisk the butter and the flour together over medium heat. Cook the roux without stirring until it smells like hazelnuts and is golden brown. Add the chicken stock and salt and stir over low heat until the sauce thickens. Add the velouté and cream to the mushrooms and simmer until heated through. Add fresh herbs and serve hot. If preparing in advance, turn the heat off, then reheat and add fresh herbs before serving. 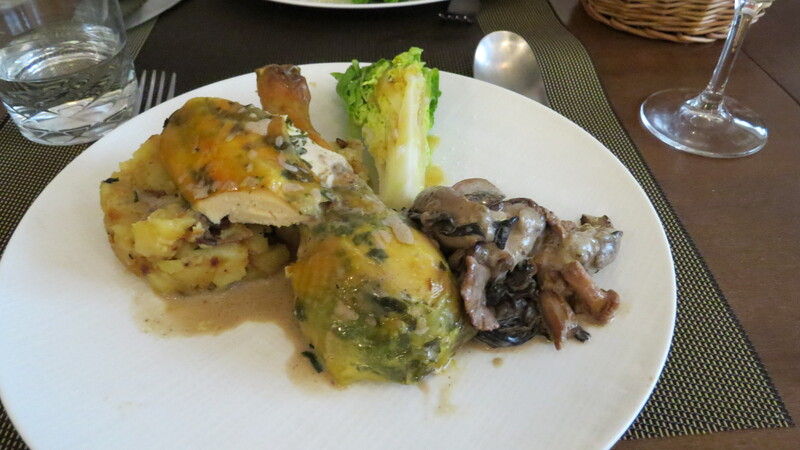 This entry was posted in Food & Wine and tagged cepes, cepes recipes, mushrooms, porcini, recipes on November 23, 2014 by franceboundblog.